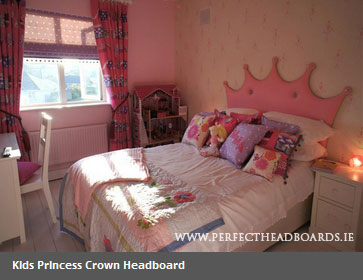 At Perfect Headboards we offer a beautiful range of childrens headboards available in fun fabric prints. Our kid’s headboards are guaranteed to brighten up any chllds bedroom with our fabulous range of children’s fabrics and washable faux leathers. Our kids fabrics include gliitter handbags and shoes, ballerinas, surf boards, dinosaurs, alphabets and contemporary stripes. 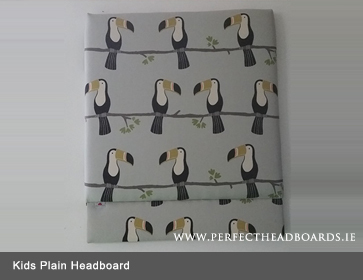 Your child will love our beautiful fabric headboards. 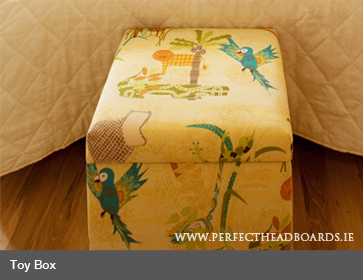 You can also complete your room with one of our matching toy box’s…ideal storage for childrens toys, blankets or books. Just click on the headboard design below and select your bed size to view the full range of fabrics and prices.